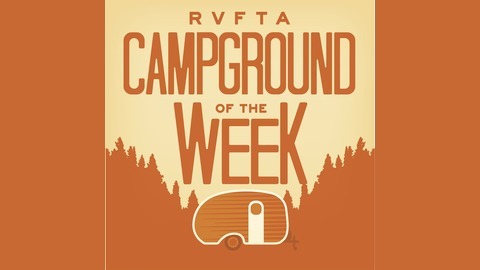 This podcast is devoted purely to recommending fantastic destinations in the United States and reviewing the campgrounds in those locations. 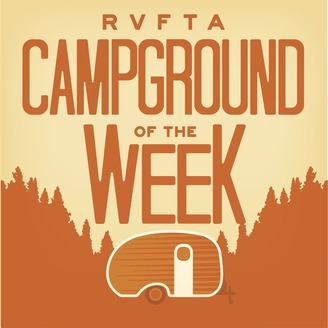 Hosts Jeremy and Stephanie interview campground correspondents from all over the country to help RVers answer that perennial question: Where to next? With over 1,300 miles of coastline along the Gulf and the Atlantic and tons of lakes and rivers found in between, Florida waterfront campgrounds are some of the most popular RV destinations in the country. Jacksonville’s Hanna Park, Anastasia State Park near St. Augustine, and Orlando’s Bill Frederick Park at Turkey Lake are just three of the amazing Florida waterfront campgrounds offered by Florida’s city and state park systems. On this week’s episode, our friend Johann Schnell shares his top picks for the best waterfront campgrounds in Florida. He has been camping with his wife and two kids in his home state for the past three years while enjoying the Sunshine State’s great outdoors and great theme parks. Located in Florida’s northeast corner, Kathryn Abbey Hanna Park is an oceanfront park operated by the city of Jacksonville. It features 1.5 miles of beach along the Atlantic, as well as a 60-acre lake. Offering a prime surfing locale and over 20 miles of hiking and mountain biking trails, there are tons of recreational opportunities to be enjoyed without ever leaving the park. Hanna Park is a local favorite for Jacksonville residents, giving it a true hometown feel, while its location near the I-95 corridor makes it a popular layover for RVers traveling along the Atlantic Coast. It is close to the city, but big enough to feel worlds apart. Shaded by massive Spanish oaks, Hanna Park is a true retreat, with wonderful campsites to return to after some fun in the Florida sun. With 280 sites, Hanna Park is a huge campground. The sites are all well shaded and mostly level. Electric and water hookups are available, as well as a dump station and shower houses. Johann gives props to the city park system for keeping the facilities well maintained. Expect to pay around $34 per night for a campsite. This campground is popular, meaning you’ll want to book ahead (through the online reservation system). Luckily, since there are so many sites, you have a shot at getting a spot even if you don’t book a year in advance. Aside from the campground, Hanna Park is renowned for its many amenities and recreational opportunities. Start at the beach, where one of northeast Florida’s best surf spots is found. Known as “the Poles,” this location is best surfed by those with experience. Everyone else can enjoy the 1.5 miles of sandy shore. The freshwater lake is a popular spot for canoeing and kayaking, with rentals available onsite. Kids will also love the large playground and the splash park. Anastasia State Park is probably one of the most well-known campgrounds in the Florida state park system, and for good reason. St. Augustine is a historic city, with its origins dating back to the 1500s, and this campground makes it easy to enjoy both the town and the shore. Johann points out that there is so much to explore and experience nearby. Take the kids to the Alligator Farm Zoological Park, tour historic Castillo de San Marcos National Monument, head to the top of the St. Augustine Beach Lighthouse, or stroll down popular St. George Street, appreciating the architecture, shops, and restaurants. Johann recommends booking as soon as possible after the 11-month window opens since this park is very popular. There are only 92 campsites. While 70 spots are available for RVs, many are not big-rig friendly. You also will not find sewer hookups in this state park, so plan accordingly. Expect to pay around $28 per night. Within Anastasia State Park, you can enjoy a number of amenities. Most importantly, you’ll find 1600 acres of scenic beauty along the Atlantic Coast. Check out marshes and sand dunes, play in the waves, watch for wildlife, and hike the nature trail. The amphitheater nearby has frequent concerts (ending no later than 10:30 pm, so campers can get to sleep). Seasonly, you may find a farmers market right in the park. Johann recommends bringing a bike, so you can explore the park on wheels. Orlando, of course, is one of Florida’s premier camping destinations, thanks to the plethora of theme parks. However, Bill Frederick Park at Turkey Lake takes you out of the tourist area, providing a respite from the busyness. Since this is in central Florida, you won’t be close to the ocean or gulf; however, the campground sits right on Turkey Lake. With only 36 campsites, Bill Frederick Park is a nicely intimate park. However, the drawback is that it can be hard to get a site. Johann recommends booking far in advance. Coming in at less than $20 a night, this is an economical choice that lets you save a few bucks if you’re planning to drop a bunch of dollars on Disney. It’s less than a 30-minute drive, and Johann points at that the drive is pretty cool because it takes you alongside other parks. Johann warns that it can be a little challenging to get your rig level at these natural campsites; however, even larger rigs can fit into the park. The sites are large and wooded, other than in the center. Most sites have tree coverage, providing some relief from the summer sun. Inside the park, campers can enjoy the lake, nature trails, mountain biking, disc golf, and more. The Olympic-size pool is great for swimming, but the lake isn’t due to the alligators that call it home. One unique feature is a dedicated drone-flying area. Whether you use this for a basecamp for Disney or plan to spend tons of time in the park, Johann highly recommends Bill Frederick Park. A big thanks to Johann for these three great insider recommendations. The Sunshine State truly has some phenomenal public park options. We’re ready to load up the kids and the kayaks and head on down! For more ideas, check out the other Florida campground reviews we have on the site. The post Campground Review: Three Waterfront Campgrounds in Florida appeared first on RV Family Travel Atlas.